Crystal Cabinet Works A fine name in cabinetry. Crystal cabinets are crafted by true, skilled custom cabinetmakers, ensuring they will stand the test of time. All Crystal cabinetry is backed with its Limited Lifetime Warranty. Take a look and see for yourself why Crystal is the finest name in cabinetry. The quality is in the details, with each cabinet made one at a time, using only the finest quality American made materials. Cubitac Cabinetry Taking inspiration from the imagination of hosts and homemakers everywhere, Cubitac creates inviting spaces built for memory making. See the passion behind their enduring designs, and you soon realize the Cubitac difference. They source their materials from vendors celebrated not only for their proven excellence, but also for their affordability. With faster lead times, cutting-edge machinery, streamlined processes and the best price-to-quality ratio in the nation, economical fulfillment is the Cubitac signature. While Cubitac cultivates close ties with the best global suppliers, they’re also passionate about creating local jobs. Their team of cabinet artists practices their craft at their facility in Ridgefield , New Jersey, the town they call home. Hickory Creek Cabinetry Located in Lancaster County Pennsylvania, Hickory Creek crafts cabinets from time honored techniques and looks upon the present as well as the future to maintain and improve their custom cabinets. They only use North American Pure Bond (soy based adhesive) plywood manufactured by Columbia Forest Products for their cabinet boxes. Not only do they offer the industry standard conversion varnishes, they are now proud to offer Renner Hydro top coats for a very durable and odorless finish. 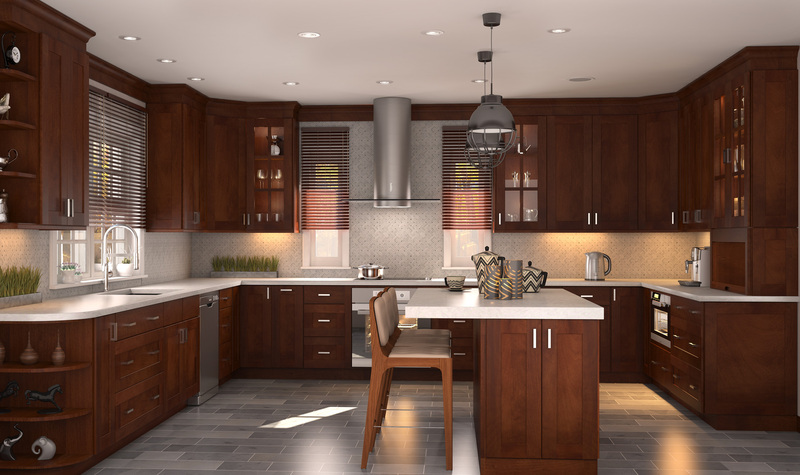 Hickory Creek strives in delivering cabinets of high end quality and craftsmanship and takes pride in the relationship that it brings to our satisfied clients in the Eastern United States. 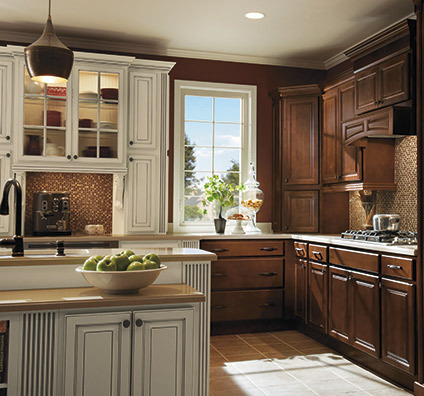 Homecrest Cabinetry 40 years later, Homecrest is a brand still in tune with the tastes of the time. They believe that your home should make your life easier and more enjoyable. And because today’s home is always changing they strive to provide life solutions that meet your needs. So as you plan and dream a new space, remember what it is you do and love most, because guests will come and go, but you and your home are forever. Homecrest is also a certified brand in the Kitchen Cabinet Manufacturers Association (KCMA) Environmental Stewardship Program. The program recognizes companies that demonstrate an ongoing commitment to sustainability including the use of environmentally responsible materials in cabinet products and minimized environmental impacts realized through recycling wastes and using low emission coatings. Shiloh Cabinetry All wood kitchen and bathroom cabinets, Shiloh produces kitchen and bath cabinetry with the customer in mind. Their cabinetry is designed for the kitchen or bath, entertainment room, or any other area in the home where cabinets are needed. Shiloh’s website details their quality cabinet construction methods and complete array of finish colors – over 250 and growing.